As one of the most important communication forms, text messages bear too much of our data, such as business ties with commercial partners, sweet talks with loved ones and much more. No matter you want to delete space-consuming messages for more iPhone storage, or just want to get them on computer for safe management, to know how to transfer text messages from iPhone to computer is necessary. Here two ways about how to make that will be offered and go on with the article to find what you need. iTunes is the basic backup tool that Apple offers to transfer almost all your iPhone data onto your computer, of course including text messages. And you can restore the backup back onto your iPhone to get your data. See how to transfer iPhone messages to computer by iTunes. Step 2. Select the iPhone icon in iTunes and you will see the Summary panel. Step 3. 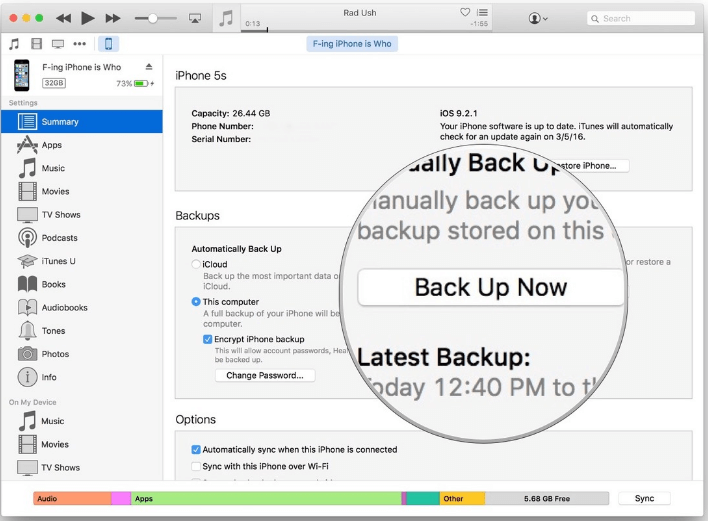 Now you can click on the Back Up Now and your iPhone with all your text messages will be backed up on your computer. Step 4. Then you need to wait for a moment, which is decided by the data size on your iPhone, to finish the transfer. But note that the text messages backed up in iTunes cannot be read or for other use. Whether is there a tool can transfer text messages on iPhone according to your own wishes and you can view your text messages on your computer anytime? iMyfone D-Back (Windows/Mac version) will satisfy your requirements and do much more for you. See its powerful features. 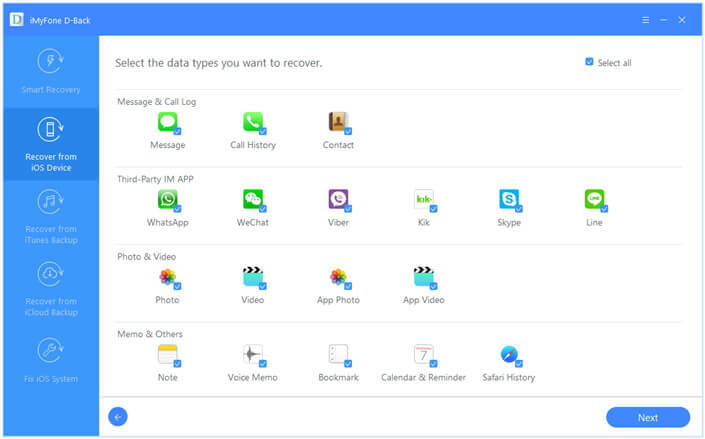 Besides data transfer, it can recover lost data and fix iOS system. 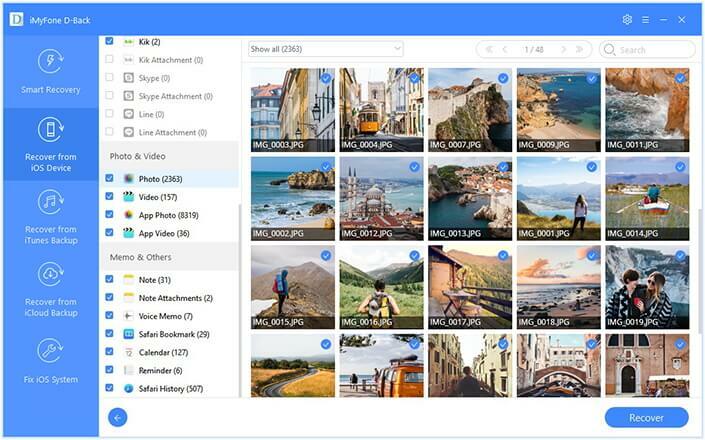 Transfer 20+ types of files, including photos, voice memos, contacts, notes and more. Allow preview before recovery and selective recovery. Support iOS 10/9/8/7 running on iPhone 7/SE/6s Plus/6s/6 Plus/6/5s/5s/5/4s/4. Step 1. Select File Type and Connect iPhone. From “Recover from iOS Device” option, click “Start” to check “Message”. And then click the “Next” to connect your iPhone. Then click on “Scan” to scan and search all text messages on your iPhone. iMyfone D-Back will take several minutes to scan your iPhone. After scan, it will display all the messages on your iPhone for your preview. You can check the messages and confirm which ones are you need. Then click “Recover”. A pop-up window will ask you to select a destination to store the text messages. Wait until the program finishes transferring. Now you have two ways on how to transfer text messages from iPhone to computer. The iTunes backup method is free, and iMyfone D-Back (Windows/Mac version) also offers the free trial version for both Windows and Mac version. Download it, compare the two ways and choose the best for you!